Ralph Watson also intends to sue CP+B for wrongdoing. 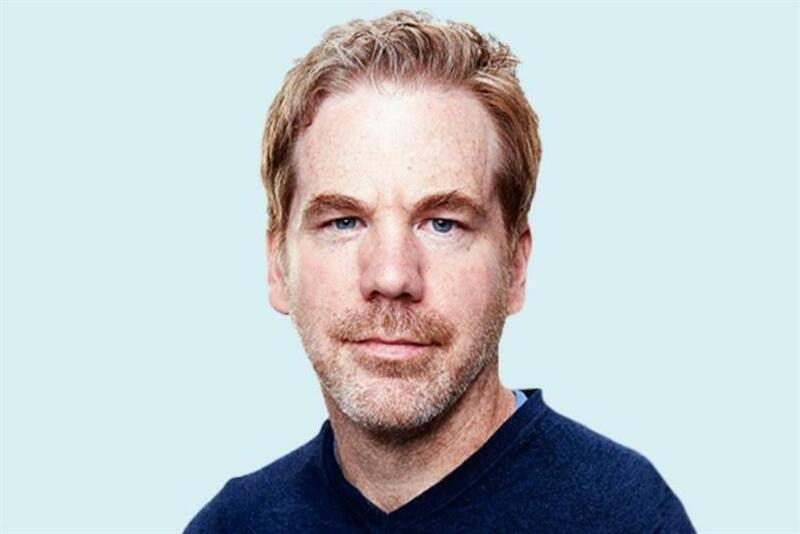 Ralph Watson, former chief creative officer of CP+B’s Boulder office, has filed a defamation lawsuit against Diet Madison Avenue, an anonymous Instagram account aimed at calling out acts of sexual harassment and discrimination in the ad industry. The documents, filed in the Superior Court of California of the County of Los Angeles, accuse Diet Madison Avenue, as well as Jane Doe 1, Jane Doe 2 and Does 3 through 100, of defamation, intentional interference with contractual relations, intentional interference with prospective economic relations and negligent interference with prospective economic relations. Watson is seeking at least $10 million for "general and special damages to be proven at trial," as well as back pay, front pay, punitive damages, costs of the suit, attorney and expert witness fee and more. On February 2, Watson was let go from his role at MDC Partners’ CP+B after working at the agency since 2014. Watson has filed a claim with the U.S. Equal Employment Opportunity Commission, with the intent to sue CP+B for wrongdoing. Representatives from MDC Partners and CP+B declined to comment. In early January, Diet Madison Avenue published a list of men in the advertising industry that it alleged to be sexual harassers, the document states, adding that Watson was not on that list. The lawsuit claims that on January 19, Diet Madison Avenue posted the following statement on Instagram: "Ralph Watson. The women that you targeted & groomed (like all predators do), because they were young & just starting out their careers...the women that you assumed would stay quiet are stronger than you ever gave them credit for. And their voices have created a timeline. Going back years. Corroborated stories. Spanning across multiple agencies. And even continents." Watson was contacted by multiple colleagues and friends shortly after the comments were published, alerting him to the posts, the document adds. Watson then contacted his employer’s HR director, and was told CP+B had received no credible complaints or evidence of sexual harassment against him, according to the lawsuit. Watson was let go days later. He "has suffered loss of salary, benefits and additional amounts of money he would have received had he not been terminated," and "has largely been unable to secure any work in the advertising industry since," the lawsuit claims. According to the suit, the plaintiff "is informed and believes that Defendant Jane Doe 1 is one of the 17 individuals directly behind DMA and Diet Madison Avenue" and "is currently employed in the County of Los Angeles and has previously worked for the Los Angeles area offices of at least two advertising agencies, including Crispin Porter + Bogusky (CP+B)." The court documents also claim Watson believes Jane Doe 2 lives in Los Angeles and works at a well-known advertising agency. He is suing the individuals under fictitious names to protect their privacy, until he can fully verify their alleged connection with Diet Madison Avenue in the discovery phase of the case. In online defamation cases connected to anonymous sites or posts, the plaintiff has the right to bring a lawsuit against the group or person and then subpoena the online internet service provider for the anonymous individual or entity’s information. Watson deferred comment to his attorney, Michael W. Ayotte of the Law Offices of Michael W. Ayotte. "My client’s hard-earned career and reputation have been destroyed by Diet Madison Avenue’s defamatory actions. He is adamant that he has never sexually harassed anyone. Yet he has lost everything without any actual allegations of misconduct being brought against him (either named or anonymously), much less any supporting evidence," the statement reads. Ayotte's statement on behalf of Watson continues: "He and I support equal rights for all and believe no one should be subjected to sexual harassment in the workplace. However, Diet Madison Avenue’s way is not the right way, and their tactics are doing more harm to the #me-too movement, than good. This case is needed to shed light on the dark side of DMA – how one man can lose everything over false and unsupported Instagram posts." A spokesperson for Diet Madison Avenue told Campaign US: "We have legal representation. It will be fascinating to see how Instagram deals with this issue – and how they deal with users' privacy and freedom of speech on their platform. It will set a precedent for what is and is not permitted on this platform during the #MeToo era." Diet Madison Avenue strongly urges the legal teams involved to contact the Electronic Frontier Front – a non-profit that defends digital privacy, free speech and innovation. "Similar suits have always been dropped," the spokesperson added. The Instagram account, which launched in October 2017, is private and currently has more than 25,000 followers. "Exposing sexual harassment & discrimination in ad agencies since Oct 2017, cuz HR won’t. Private," the account’s bio states. According to the DietMadisonAve.com website, the group’s mission is "to raise awareness and address workplace discrimination, bullying, harassment, and abuse. With first-person, corroborated experiences and authentically conveyed narratives, we will expose the history of sexual harassment and discrimination in the advertising and media industry. We hope that this work will lead to new policies, systems, and actions that bring about a more accountable, diverse, and equitable workplace for all. We are whistleblowers, and we want to leave this world better than we found it." Since the launch of Diet Madison Avenue, a number of other equality and female empowerment organizations have been formed in the industry, such as Time’s Up Advertising, which was developed in March by more than 200 female advertising agency leaders to address sexual harassment and systemic inequality in the workplace. Kat Gordon, founder of the 3% Movement, told Campaign that it will be "interesting to watch [the case] unfold," pointing to the fact that Diet Madison Avenue has previously said it has been working with lawyers. "Societal changes take all different types of levers and pressure points – it takes all," added Gordon. "Whether or not you agree with what [Diet Madison Avenue] has done, this will be proof of whether what they’re doing is legally sound." This story was updated with comment from Diet Madison Avenue at 2.30pm on Thursday May 24.